Miami Computer Repairs – It’s unavoidable that sooner or later our computers may be likely to encounter some sort of problem no matter how careful we are with our computers. Sometimes those small computer repairs we may feel we are able to fix on our own, but it might be a much wiser decision to let a Miami computer repairs professional at 123 PC Solutions take a look at it and repair it, if need be. Because of how complex technology is, sometimes it is just best not to mess with a computer and leave it to the experts to take care of it. It’s a given that owning a computer needing to take care of computer problems and needing to get your computer repaired at some point is to be expected. With so many different parts and with so many different ways for something to go completely wrong, it’s no surprise at all as to why computer repair is such a huge industry. A slow-moving computer is one of the main reasons why many people take their computer into a repair shop for a computer repair. Because there are various reasons as to why a computer may run slow, it can be overwhelming for you to handle it yourself. There could possibly be way too many files on the hard drive, maybe there is a spyware infection or virus or maybe more RAM needs to be installed. Having a system tune-up completed by an experienced Miami computer repair expert usually will help get your computer operating back up to speed once again. Being on the internet, there is always the risk of possibly infecting your computer with some form of computer virus or spyware. Computer viruses have been around for many years and more than likely they won’t be disappearing. Unfortunately, many of them can cause harm to computers. Many infections can erase your files, violate your computer’s privacy and even slow down your computer. At times when your computer fails to boot-up, it can be a really terrifying experience, right? It can possibly be something as small as a bad power supply. Even so, there might be other reasons which may not be as simple to fix and require a Miami computer repair professional have a look and repair it. A scary situation is when Windows fails to load properly, they reaction would probably to quickly get it to a Miami computer repair professional to fix it. When this happens, it can be the result of a failing hard drive or even some corrupted windows files. If the problem is a failing hard drive, you may be in danger of losing all of your files and really should have a computer repair technician look at it right away. If something is wrong with your computer don’t get stressed out! 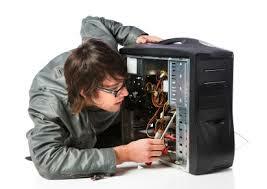 Our Miami computer repairs professionals are competent of getting your computer functioning again! Just give one of our computer repair professionals at 123 PC Solutions a call at (786) 422-0705 or visit us at: https://123pcsolutions.com. You will be so glad you did!